Over the past decade, businesses have progressively turned to social media for marketing and communication. And so have celebrities, campaigners and just about anyone who wants to influence. They are all connecting directly with their audiences to motivate, transform or shape ideas and attitudes. The power of social media to communicate directly is sometimes trivialised because of the negativity that may occur. However, for business it is essential to realise its potential and cater for those risks. From my observation having written extensively about social media over a number of years, what I have noticed is that when something goes wrong some businesses are quick to blame the tool. Instead, if they reflected honestly, what they would have noticed is that their comment, cause, campaign was saturated in self-interest. And if there is one thing social media audiences can sniff out, it is ‘being fake’. Smaller businesses have an advantage over larger companies because they are not completely constrained by their brand. If you follow any of the bigger brands sometimes what you get is the ‘PR’ line. One of the reasons for this that they somewhat removed from their audience. Smaller organisations are not hindered by this as there are likely fewer layers between themselves and the customer. 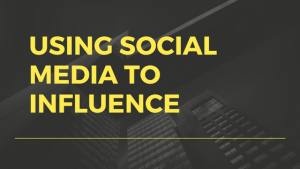 Social media’s main product is content and the opportunity for business is to tap into this massive space and connect on a more intimate level. It does take time to influence your audience so keep in mind the following 3 principles when building your tribe. One of the first steps to influencing is recognition. So regardless of whether you have a service that you strongly believe in or a cause that you feel passionately about, people need to know who you are and become aware of what your beliefs and values are. To do this you need to start building a tribe. A great way is to launch conversations and start getting to know people – blog, ask questions, be accessible, comment and have real interactions. Being active and consistent are keys to building awareness. Start small, aim high. 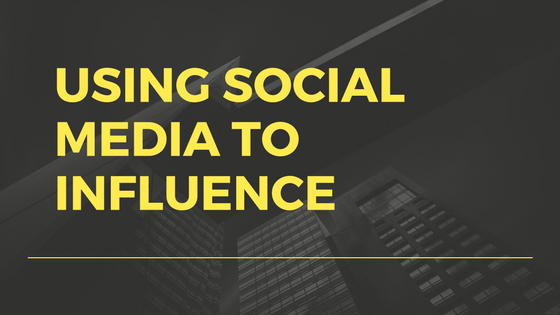 Because smaller businesses can make closer connections with their audience they can build influence through their content and thought leadership. The benefit here is that you only need to share your knowledge. And you are able to do this through blogs, videos, images, articles. Providing quality information that is valuable and sharable is one of the most organic forms of social media marketing. What is ‘quality’ content, you may ask? Just about anything that provides solutions. Perhaps you are a nutritionist; you can write articles on healthy eating or create some YouTube clips which demonstrate preparing easy and nourishing meals. Through this you are able to establish yourself as an expert on a particular topic and make it part of your presence online. Content is the way to teach your audience what you know or what you are passionate about, and these may or may not overlap. As people begin to learn from you, it is likely they will begin to trust you and recommend you. Through this, it provides the opportunity to not only build your credibility but also expand your influence. That is why it is crucial that you start with what you know, believe in or are passionate about. And depending what it is you are promoting it is equally important to realise that not everyone will agree with your thoughts or believe in what you are saying. However, this is not such a critical thing; the world would be pretty boring if we all thought the same way.